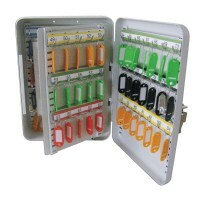 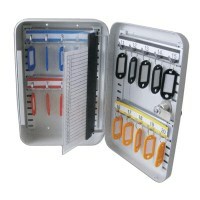 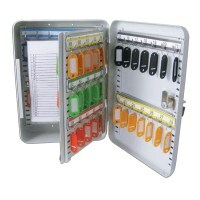 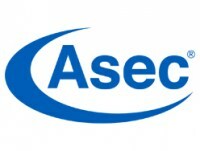 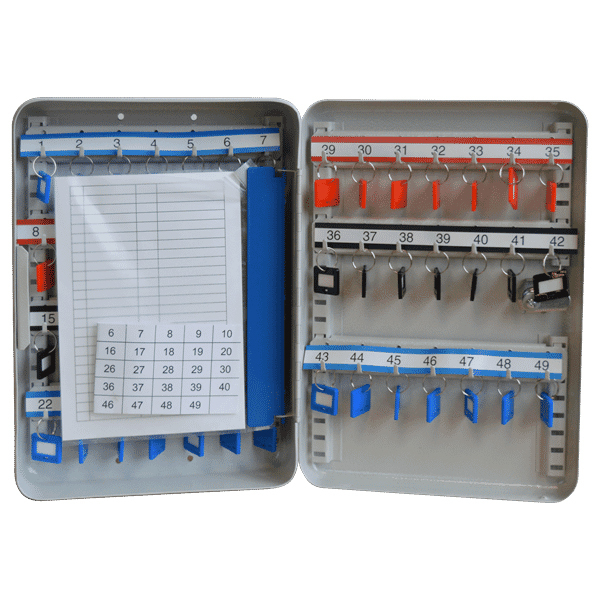 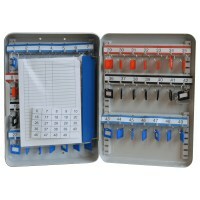 Asec Key Cabinets in various sizes from 20 keys right up to 200 keys. 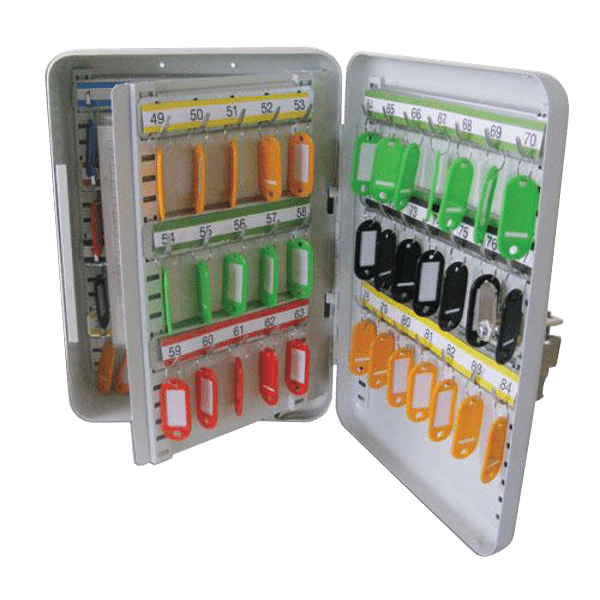 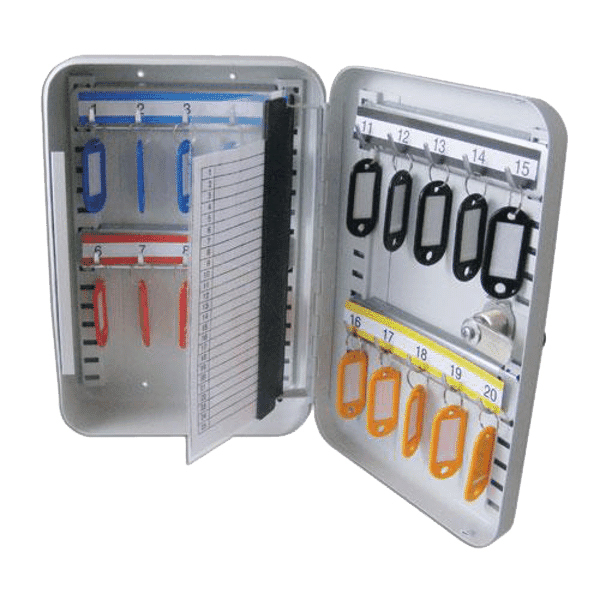 These durable key cabinets have a powder coated cream finish and are supplied with adjustable colour coded hooks and bars. 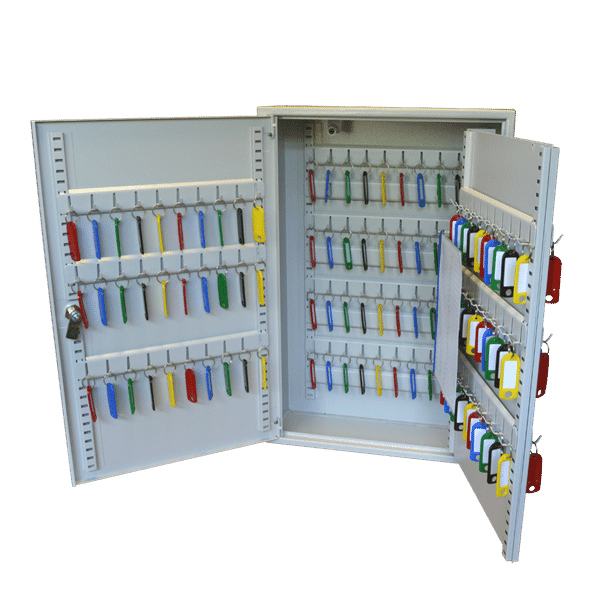 The hinged door to the cabinet is locked and unlocked by the turn of a key, installation is simple with four holes in the rear of the cabinet. 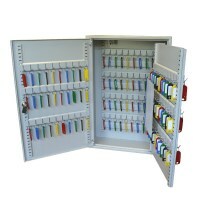 If you are looking for a great key cabinet at a cheap price, then look no further.